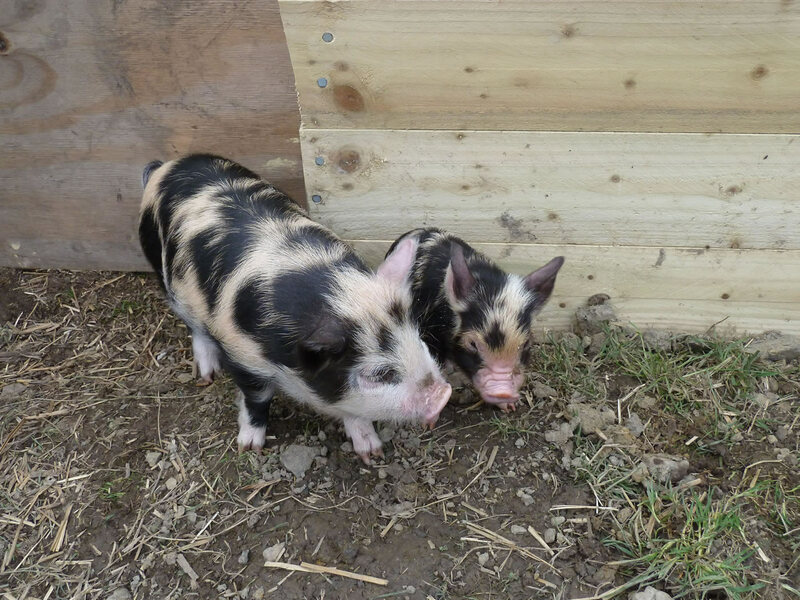 Our two kunekune pigs outside in their rather bare run. I was still working on building their outdoor run when we let them out of the house to the run area, you may notice the size difference between Geordie (on the left) and his brother, Buddy. I am not sure if Geordie is overweight already, or if Buddy was under-weight, probably a combination of both. 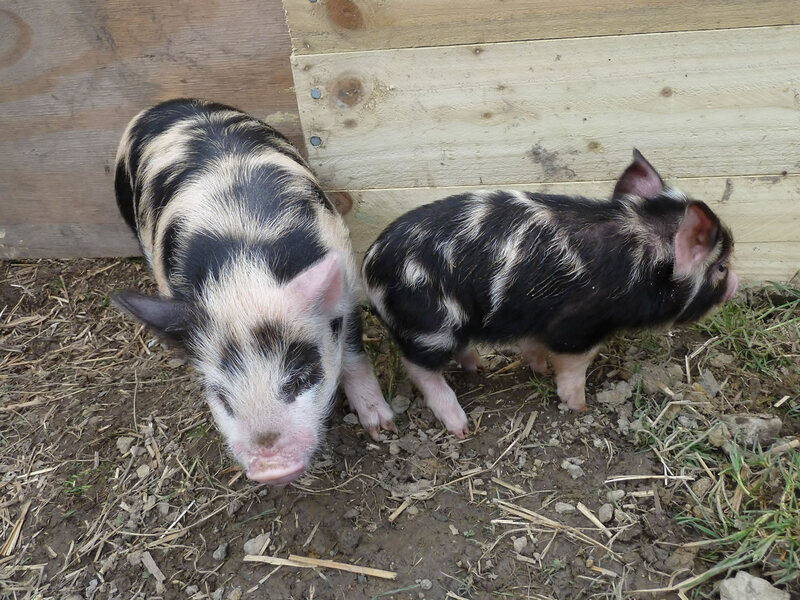 It was wonderful to see that both of them got on really well together and the bond between the two kunekune pigs have remained strong over the years. 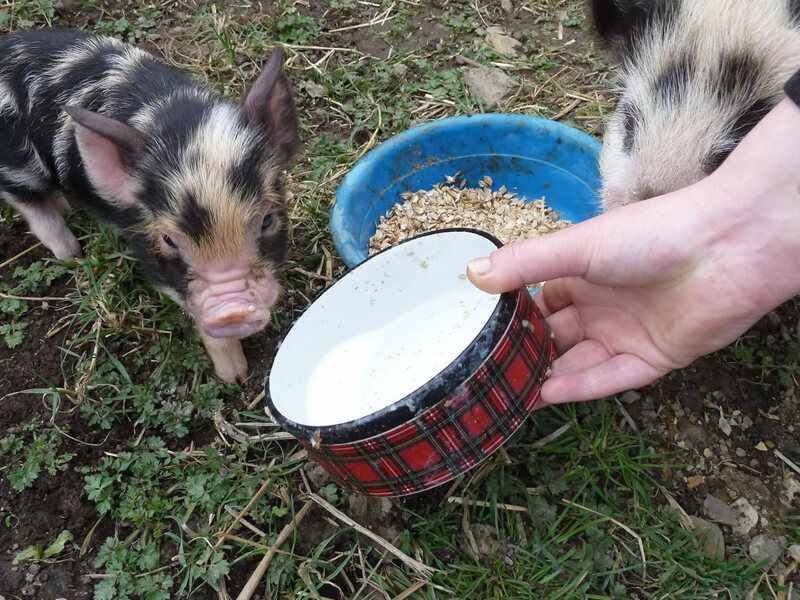 Pet pigs Geordie and Buddy getting fed while out in their outdoor run. Buddy is making sure he gets the cooked barley by standing in the plastic food bowl. 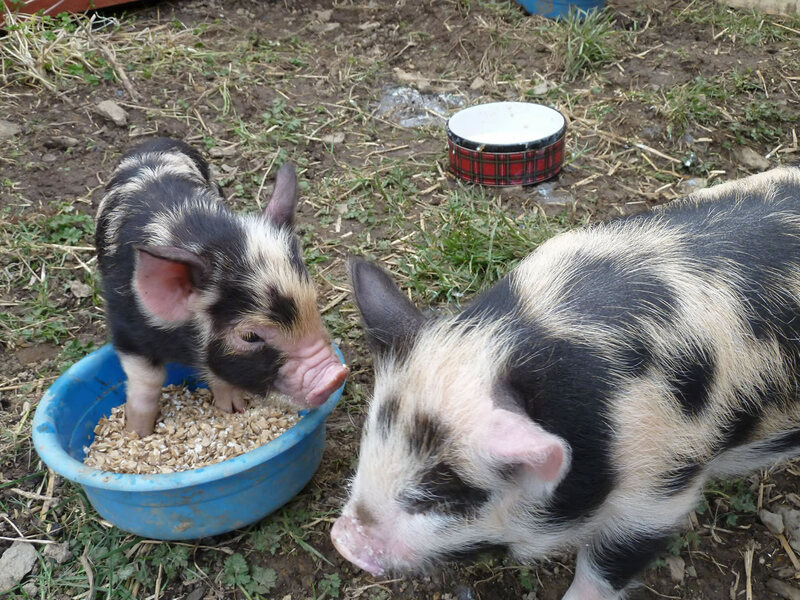 Pet pigs being fed their milk and weetabix along with cooked barley. 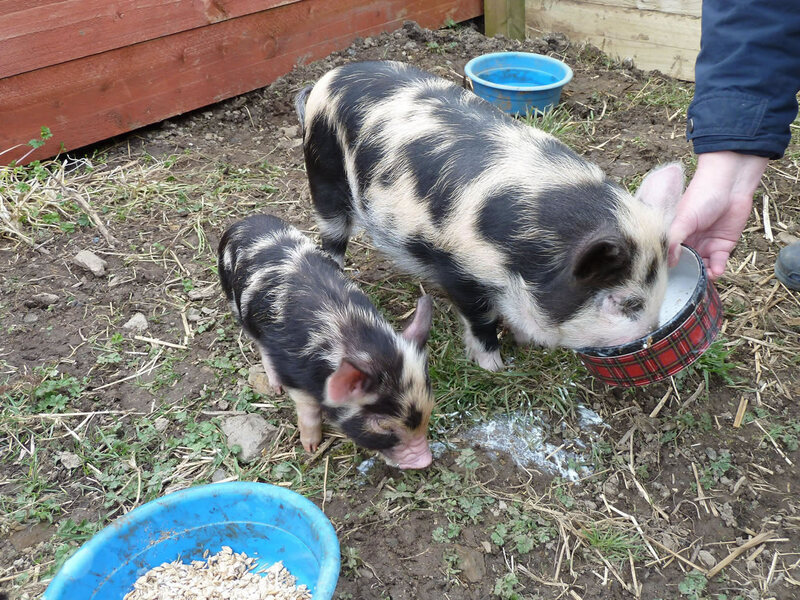 Pet pigs outdoors in their run before I had paved over the area. The size difference is noticeable in this picture between the two brothers. I now wish I had realised that we were (had) been overfeeding Geordie as he has remained heavier, basically fatter than he should be for a kunekune pig. Amazon Safety Work Boots, just use search to find what you want to shop for.